This entry was posted in Uncategorized and tagged alan roddick, Caselberg Trust, Emman Neale, pat white, riemke ensing, Sue Wootton on January 28, 2015 by Paula Green. The Conch Trumpet calls to the scattered tribes of contemporary New Zealand. It sounds the signal to listen close, critically and ‘in alert reverie’. David Eggleton’s reach of references, the marriage of high and low, the grasp of popular and classical allusion, his eye both for cultural trash and epiphanic beauty, make it seem as if here Shakespeare shakes down in the Pacific. forlorn heat swings cobbed in webs. 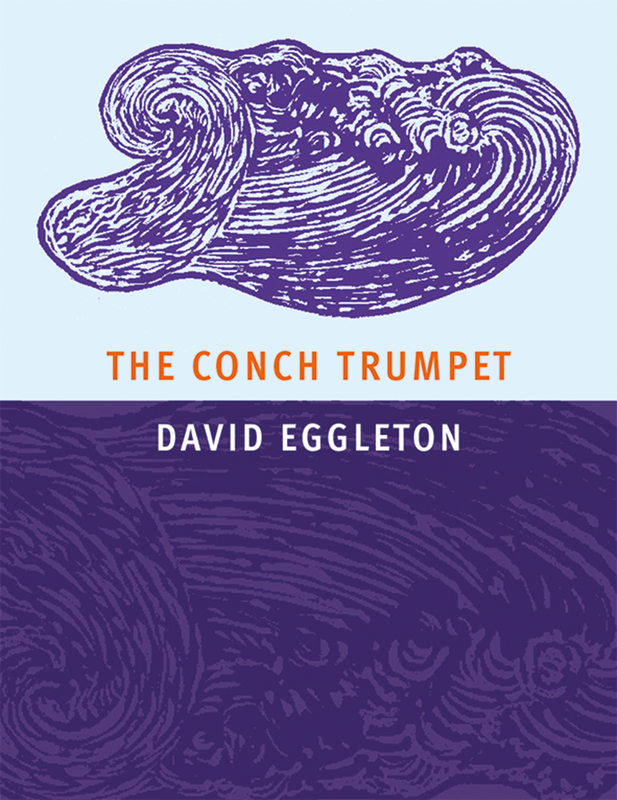 In this latest collection David Eggleton is court jester/philosopher/lyricist, and a kind of male Cassandra, roving warningly from primeval swampland to gritty cityscape to the information and disinformation cybercloud. wide range of recent anthologies. ‘His poetry is vital and contemporary, steeped in popular and postmodern culture. It offers a vision of New Zealand which is at once resolutely local and yet not quite recognisable or predictable – offers a vision of ourselves which defies expectation to surprise and charm.’ – Louise O’ Brien, Dominion Post, 2001. This entry was posted in Uncategorized and tagged David Eggleton on January 26, 2015 by Paula Green. 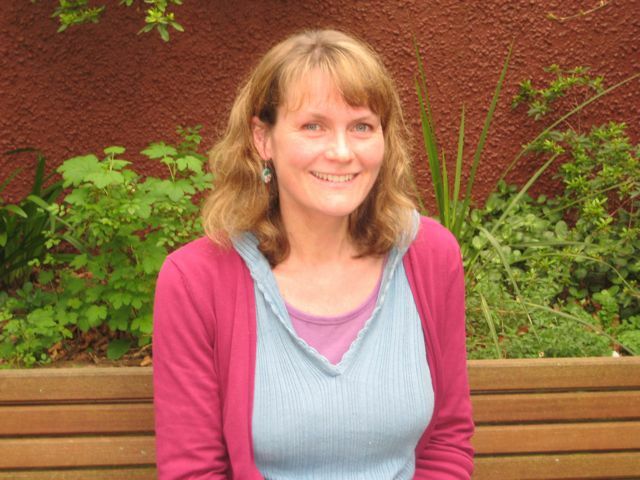 Robyn Marsack is doing a Scottish poem per week on the Best American Poetry Site. This entry was posted in Uncategorized on January 26, 2015 by Paula Green. Sarah is a Senior Lecturer in English at Victoria University of Wellington. She specialises in early modern literature, poetry, and women’s writing, and she is the editor of Katherine Austen’s Book M (ACMRS, 2011) and the author of numerous articles on early modern women’s writing, poetry, and manuscript culture. Michael met Sarah in 1990 and they married in 1999 before moving to New Zealand. Michael is General Manager Corporate Strategy at the New Zealand Superannuation Fund. Previously he held Chief Financial Officer roles at Pacific Fibre and Sealord Group and various roles at Fonterra. Michael has also worked as a lawyer in London and Auckland. He is an avid supporter of the Arts, and shared a particular strong interest in poetry with Sarah. Michael lives in Auckland with his and Sarah’s three young children. This entry was posted in Uncategorized and tagged Sarah Broom, Sarah Broom Poetry Award on January 21, 2015 by Paula Green. The hunt for the Great Kiwi Classic returns in 2015 and New Zealand readers nationwide are invited to join our celebration of iconic Kiwi books by nominating their favourites. Launched in 2014 by the New Zealand Book Council and Auckland Writers Festival, the Great Kiwi Classic initiative is an annual opportunity for readers of all ages and interests to celebrate our most treasured books and writers. Last year Keri Hulme’s Booker Prize-winning novel The Bone People was selected as the inaugural Great Kiwi Classic after a wealth of public nominations. One year on, we are once again asking enthusiastic readers to help decide which book deserves to be crowned this year’s supreme title. We want to hear what your most loved classic is and why. Your choice might be decades old or hot off the press, celebrated or obscure, a charming romantic romp or a piece of social commentary so searing it has ended friendships. Any book written by a Kiwi writer is in the running. To nominate your Great Kiwi Classic and tell us why it’s the one, visit the Great Kiwi Classic Facebook page: http://www.facebook.com/GreatKiwiClassic, or email your suggestions to greatkiwiclassic@bookcouncil.org.nz. Nominations open Thursday 15 January and close 5pm Friday 13 February. Throughout the campaign join us on Facebook for fresh debate, book giveaways, competitions and more. Nominate the same book you put forward last year, update your choice or join in the discussion. Follow the vote and read expert literary opinions on the New Zealand Book Council’s online magazine Booknotes Unbound (http://booknotes-unbound.org.nz/). After nominations close our panel will convene to consider nominations, with the big reveal of this year’s classic announced at the launch of the Auckland Writers Festival programme on Tuesday 17 March. The Great Kiwi Classic 2015 will then be the subject of a lively event at the Festival in May, featuring top writers and experts in a book club style discussion where all views on the book and its claim to classic status will be entertained. Spread the word and make your vote count in 2015. The hunt for the next Great Kiwi Classic is on! This entry was posted in Uncategorized on January 15, 2015 by Paula Green. Otago University Press has great pleasure in putting a call out for entries in to the Kathleen Grattan Award 2015 – it’s time to get those manuscripts into shape! Emma Neale – celebrated poet, novelist and prose writer – is this year’s award judge. The closing date for entries is 31 July. The Kathleen Grattan Award is one of New Zealand’s most substantial awards for poetry: the winner receives $10,000 and Otago University Press considers the winning manuscript for publication. The winner also receives a year’s subscription to Landfall. See the award web page for details of how to enter. Auckland poet Kathleen Grattan, a journalist and former editor of the New Zealand Woman’s Weekly, died in 1990. 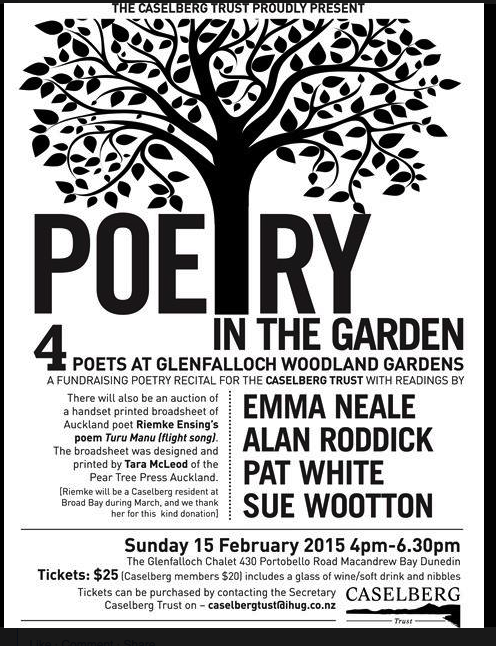 A member of the Titirangi Poets, her work was published in Landfall and other volumes including Premier Poets, a collection from the World Poetry Society. Her daughter Jocelyn Grattan, who also worked for the New Zealand Woman’s Weekly, shared her mother’s love of literature. She has generously left Landfall a bequest with which to establish an award in memory of Kathleen Grattan. The Kathleen Grattan Award, initially established as a yearly award, is now awarded biannually. This entry was posted in Uncategorized and tagged Kathleen Grattan Award on January 13, 2015 by Paula Green.